The following article was posted before votes were cast on the morning of election day 2016. The fact that it became extrememly relevant to events later that night was purely coincidental. During the recent World Series the Cleveland Indians and the Chicago Cubs were tied with three games each going into Game 7. What the announcers didn't tell you was that Cleveland was actually leading 20-19 in total runs scored. In all the pre-game coverage and hype, why would they ignore such an important statistic? 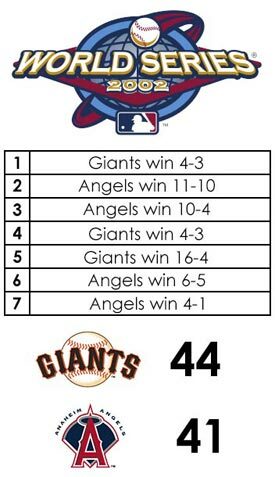 Even worse, in 2002, the Anaheim Angels won the title over the San Francisco Giants, despite the fact that the Giants scored 44 runs over the course of the Series to Anaheim's 41. Where was the outrage? We all know the answer. In the World Series the winner is the team who wins the most games, not the team who gets the most points in those games. It makes sense. Counting individual runs is meaningless. And more importantly, the teams would have played the game very differently if the rules counted total points scored. 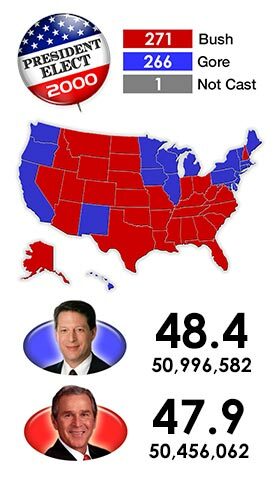 Yet for some reason during presidential elections people are obsessed with the popular vote. 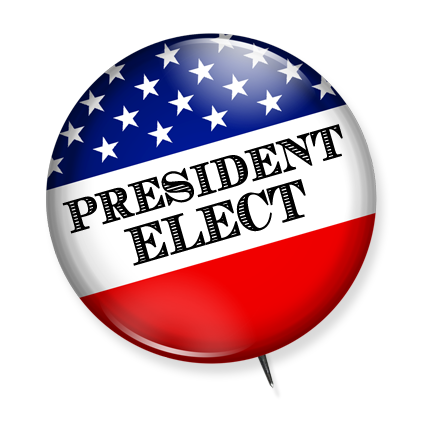 Electoral votes decide the winner of our presidential elections. While popular votes determine who gets electoral votes, like tallying all the combined runs in the World Series, there isn't a lot of value in combining every state's individual vote totals into one large number. During the early years of the Republic, those numbers weren't even saved for posterity. Officials back then may not have seen the historical value of preserving the records, possibly because they weren't considered that important. It wasn't until 1824, when Andrew Jackson raised Cain when he had the most popular votes but lost the election, that they started being saved. Jackson's outrage was unwarranted. The popular vote at the time was no where near a true indicator of the will of the people. Of the 24 states, seven only had one or two of the four main candidates on ballot, and six states didn't even hold a public vote! Today, every state allows the citizens to vote and choose who gets their electors, so surely the popular can be seen as the will of the people these days, right? While better than 1824, the answer is still a resounding no, especially when people want to use it instead of that year's electoral vote. There are two main reasons why. The first factor that makes the nationwide popular vote a flawed count is the winner-take-all system of awarding electors that all but two states use. In a battleground state like Florida, most people who want to cast a vote usually do because the outcome in the state is undecided. Every vote really does count. But in a state that is solidly for one party or the other the outcome is never in question. If thousands of Republicans decided to stay home instead of vote in Massachusetts, there is no realistic reason for them to worry about that choice effecting the election. The Democrats were going to win the state easily no matter what they did. You could even go the other way with that line of thinking. If thousands of Democrats decided to stay home instead of vote in Massachusetts – the Democrats would still win handily. In 2012, 38 states and DC were decided by a margin of 10% or more of the citizens that voted. In those states people knew if they couldn't get to the polls, they would have no reason to worry. That's a massive number of people potentially sitting out of the election – on both sides of the aisle. You may argue "who cares; if they don't vote they don't get a say". And that's fair, to a point. But they were playing by the rules in place. And those rules said they didn't have to vote! Also, if you're going to say the popular vote trumps the electoral vote and is the true voice of the people, how can you ignore all the voices the popular vote misses because the election system we have in place said they could sit out? You may then argue "well, we just need to get rid of the electoral college so all voices are heard equally". And that's a valid argument – to the question of whether we should get rid of the electoral college. But the question before us here is does the popular vote matter under the system we currently use. With so many people knowing their state is safe or a lost cause with or without their vote, the popular vote just doesn't mean anything under the electoral college system. The second reason it makes no sense to call the popular vote the true will of the people is that the candidates themselves aren't fighting for them. Sure, if they lose the electoral college but win the popular vote all of a sudden they love the popular vote! But just watch how they campaign. The candidates spend almost all their time in battleground states, ignoring states they believe they have safely in their column. By definition, a battleground state is a state where the candidates are within just a few percentage points of each other. They are fighting over small numbers of undecideds. Why? Because if they win over enough of that small group they get all the state's electoral votes. If popular votes mattered, the candidates would spend more time in states they were winning easily trying to gin up large numbers of votes in a friendlier place. In 2012, California ranked 41st in voter turnout with 56% of eligible voters casting a ballot. Why would a Democrat spend time in Florida trying to get a few thousand more votes in a tense atmosphere when they can just go back to friendly California and try to bump up that low participation rate? The answer is simple: because the candidates know the nationwide popular vote doesn't matter. They're not trying to get them. Like a baseball manager who pulls his pitcher from Game One when they're up by ten points because running up the score doesn't matter as long as you win, candidates know their resources are better spent elsewhere rather than running up the vote in states they lead comfortably. Everyone knows the rules coming in and they play and strategize accordingly. So what's the point of bringing up a number that doesn't effect who wins and loses, especially when that number would be very different if the candidates actually went out of their way to get more of them? Let's pretend you and a friend are picking flowers for your parents. You decide to make it a game by saying "whoever gets the most yellow flowers wins". After picking flowers for a while you get together to count them. You have 10 flowers and 6 of them are yellow. Your friend has 12 flowers and 4 of them are yellow. That means you win since you have the most yellow flowers. Would it be fair for your friend to say he should be the winner because he picked the most flowers? No, because the rule was whoever picked the most yellow flowers wins. If the rule had been whoever picked the most flowers wins you would have played differently by trying to pick more flowers rather than spending extra time looking for yellow ones. The popular vote is an interesting statistic, but it is basically meaningless under the electoral college system. There's no reason to attribute to it so much weight and importance. Yes, if we lived under a direct election it would matter. But that's not the rules we're governed by. The 2002 San Francisco Giants knew you have to group runs to win games. After they lost they didn't try to use a different metric not found in the rulebook to claim they should have won. Presidential candidates know they have to group votes to win states. The popular vote is nothing more that a different metric not found in the Constitution that carries no weight. As I told that child, "some people think we should change the rules. And that would be OK, as long as you do it BEFORE the game not after".